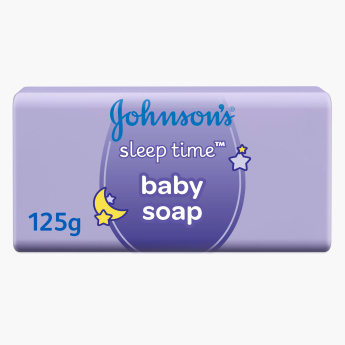 Johnson's Bedtime Soap - 125 gm | Multicolour | Helps to keep baby skin smooth and soft. Keep your baby’s skin smooth and soft throughout the day with the help of this bedtime soap. This organic soap will protect your baby’s skin from dryness and will keep it moisturized.